Kerry Konnert is Senior Director of Services and Delivery at Hitachi Vantara Federal a wholly-owned subsidiary of Hitachi Vantara. In this role Kerry leads the delivery of complex strategic programs to ensure client success in both civilian and defense accounts and is the spearhead for deploying REAN cloud solutions. With over 20 years leading and supporting IT strategy and transformation initiatives for both public and private organizations, Kerry is a recognized leader in innovative mission solutions, IT Strategy, IT program and project management, and technology-based process analysis and improvement. Prior to joining Hitachi Vantara Federal, Kerry served as a principal in Booz Allen Hamilton leading strategic innovation initiatives and managing a Department of Homeland Security Market (DHS) portfolio valued at over $30 million annually. She was responsible for integrating Booz Allen Hamilton’s strategy and client delivery and personally led the United States Citizenship and Immigration Services (USCIS) and Customs and Border Protection (CBP) accounts. 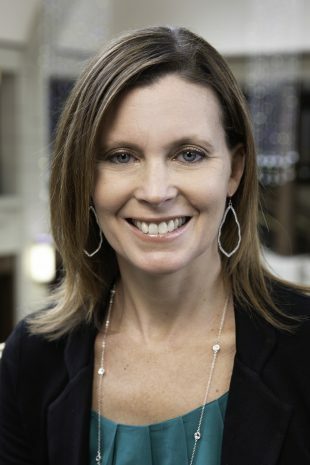 During her time leading the DHS portfolio, Kerry successfully matured all accounts in the division, including rebuilding the firm’s technical leadership presence in USCIS and growing the account to over $12M in less than 3 years and evolving the IT Strategy Modernization Initiative within TSA Office of Information Technology from $250K to over five years and $24 million. Prior to her 16 years at Booz Allen Hamilton, Kerry managed large scale system implementations and strategic projects for public and private sector clients, for a small startup as well as large IT organization. Throughout her career she has fostered collaborative environments, ensuring teams share best practices, lessons learned, and capabilities that better connect her clients and drive solutions that can be leveraged across the mission space. Kerry is a certified Project Management Professional (PMP) and holds a Master’s in Business Administration from the Johns Hopkins University’s Carey Business School as well as a Bachelor’s degree in Commerce from the University of Virginia’s McIntire School of Commerce.